that we eat pretty regularly in my house and it's honestly so simple and delish! 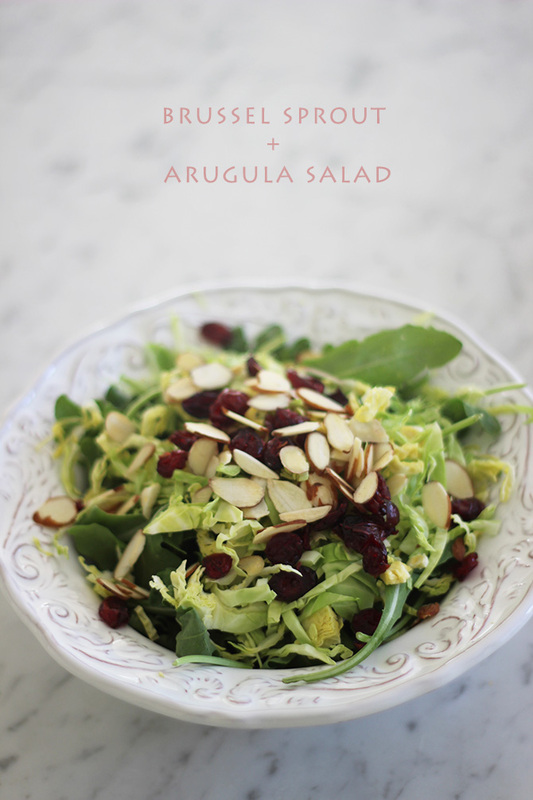 I love a good texture with my food and this definitely has it…. Cut ends of brussel sprouts and peel off outer layers. 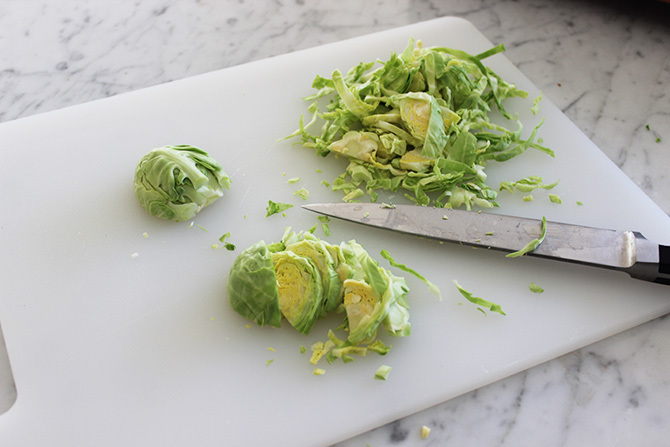 Then slice in half and begin to cut, shredding the brussel sprout. Repeat for all. 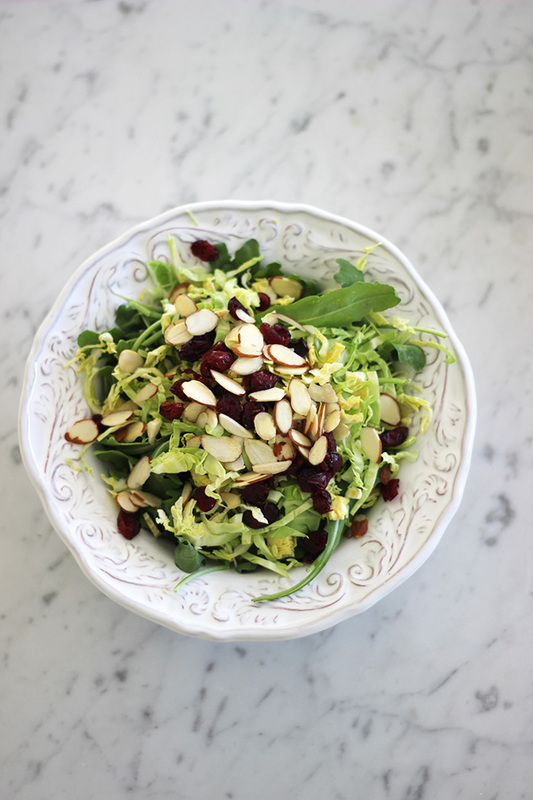 Combine shredded brussel sprouts and arugula in bowl and add almonds and cranberries to liking. 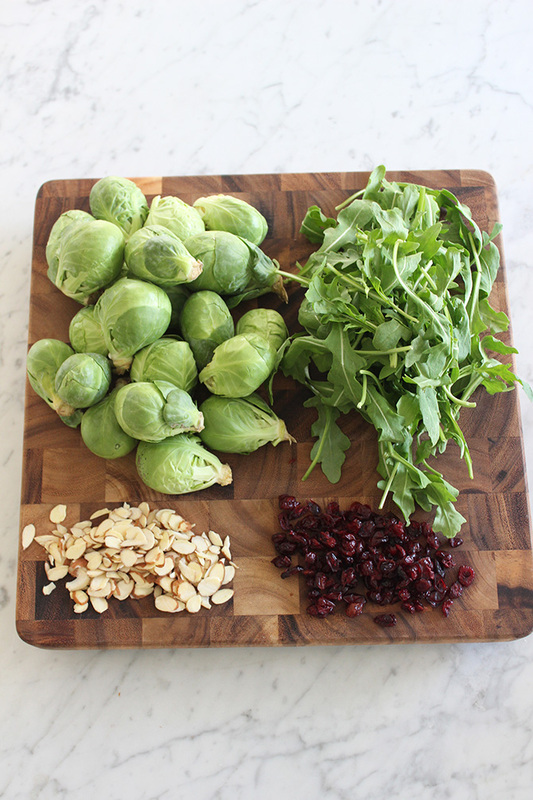 As far as the dressing goes, these have been the 4 key ingredients to all salads that I ate growing up and I still use this formula to this day. Since I don't use measurements I just eyeball the olive oil and vinegar depending on how much salad there is. Then just add salt and garlic powder to taste. Easy as that! Just had a similar lunch to yours. Mine had a hard boiled egg. Thanks for sharing the recipe. this looks so delicious! I'm definitely trying this!